The novelette has gone up for preorder on Kindle, but I'd like to send complimentary copies to my newsletter subscribers. (That's you!) Just reply to this email letting me know if you'd prefer a mobi format (which can be read on your Kindle/iPad/tablet) or a pdf, and I'll make a list and send the story along mid-August. If you don't hear back from me by end of August, please ping me again. And if you haven't signed up for my newsletter yet, quick, do it now! There is a sign up box to the left (here on my website) and you can email me at neve@nevemaslakovic.com to let me know which format you'd prefer. A wager concerning a famous physics cat has everyone at St. Sunniva University's time-travel lab choosing sides. Meanwhile, food has gone missing from the biology department fridge. Dean’s assistant Julia Olsen is on the case…or would be if the new chief of campus security didn’t stand in her way. Can Julia rise to the double challenge presented by one sneaky thief and one elusive historical cat? 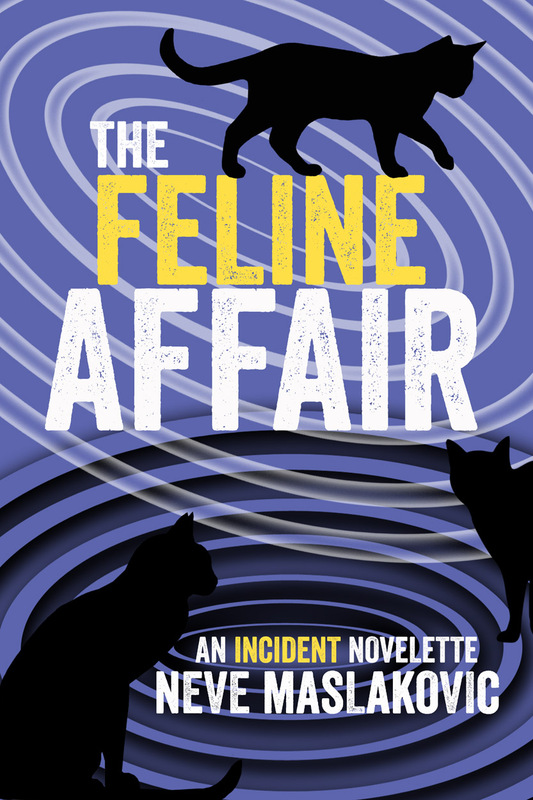 Set as a prequel to Neve Maslakovic’s time-travel series (The Far Time Incident, The Runestone Incident, and The Bellbottom Incident), the novelette The Feline Affair is a lively jaunt into science, history, and academia.